The tines on the SGC06 are manufactured from high-tensile AR400 Steel making it light-weight, yet extremely durable. For additional strength, the frame is made of stout 2" x 3" rectangular tubing. The hinge points feature 3/4" greasable pins. 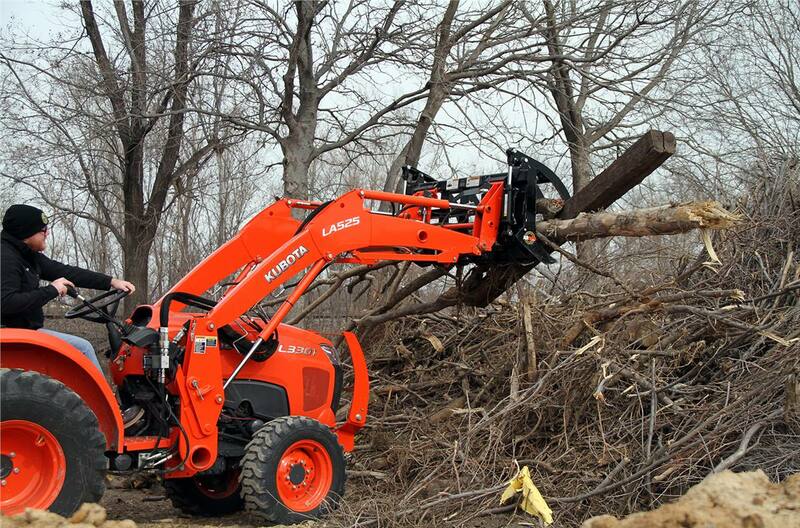 Plus the Land Pride name means there is quaility built in. This American-made Grapple features a park stand for easy attach and detach. The 9-3/8" tooth spacing and a 32" jaw opening make this attachment a versatile tool to help you get work done. 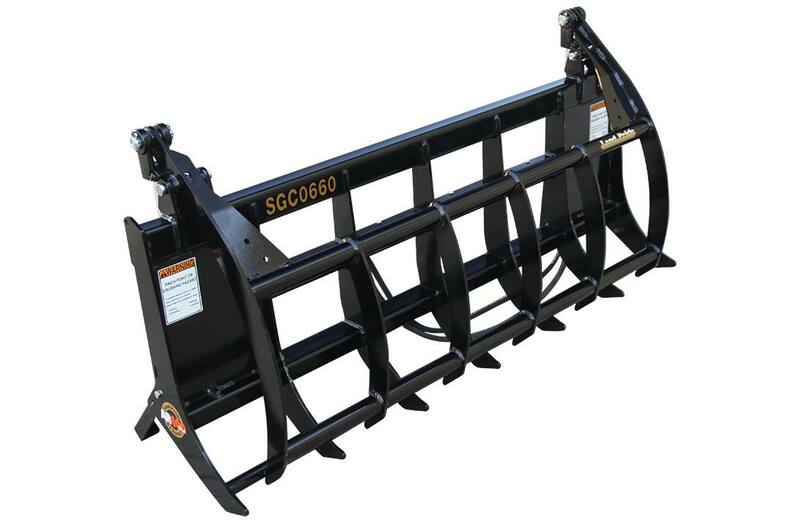 Front loader hitch plate: Fits a wide range of tractor front mounted loaders. Park stands: Allows unit to stand upright when not in use. Makes it easier to attach to tractor front mounted loader. Greasable jaw pivot: Extends service life. Third Function Valve Kit (Accessory): Can control all grapple and loader movements with a joystick. 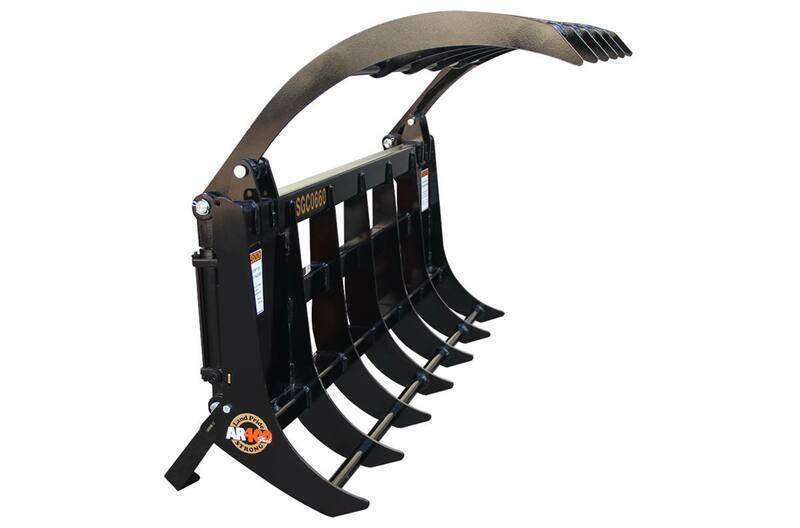 Provides easy hooking and unhooking of hydraulic hoses at the front of the loader. Overall Width: 61 3/4 in. Teeth Spacing: 9 7/8 in. Working Length of Teeth: 8 3/8 in.